Millet is a seed, not a grain, making it suitable for those following the paleo diet. I enjoy millet, with a similar consistency to couscous. Cook millet as per instructions. At the same time, roast or bake sweet potato in small wedges or chip shape. 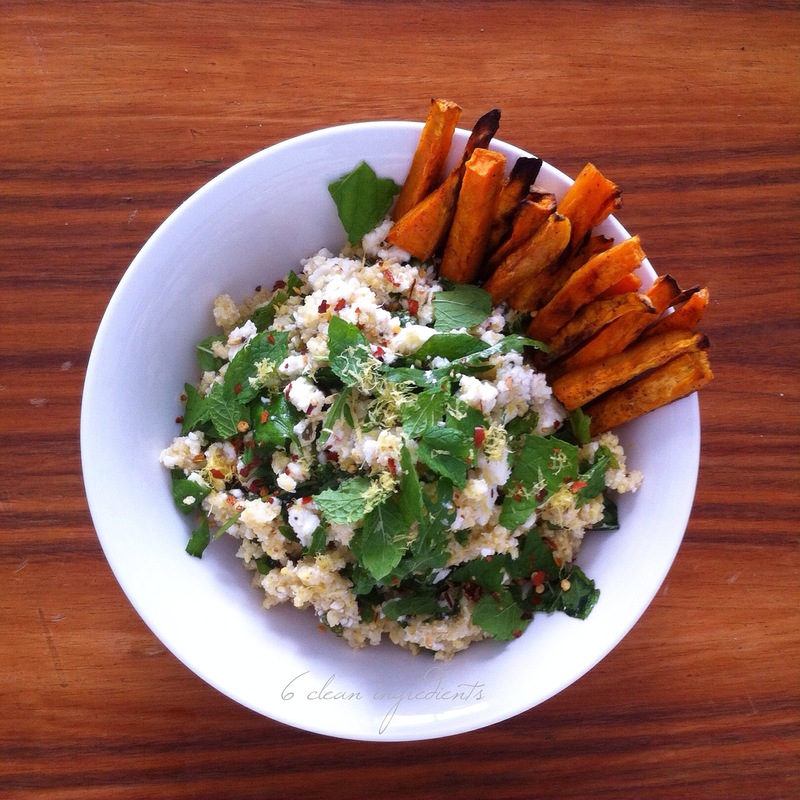 Mix in feta, lemon zest & chilli when millet is cooked. This entry was posted in Recipe and tagged dukka, feta, glutenfree, grainfree, paleo, sugarfree, vegetarian by 6 Clean Ingredients. Bookmark the permalink.